Woodland Baby Shower and More! Happy mid-July! It's hot here today in Palo Alto but we braved it and walked to our neighborhood art show. I shared a few snaps on Snapchat if you're interested. You can follow me at catchmyparty. Btw, I'm really enjoying Snapchat! Are you on it yet? 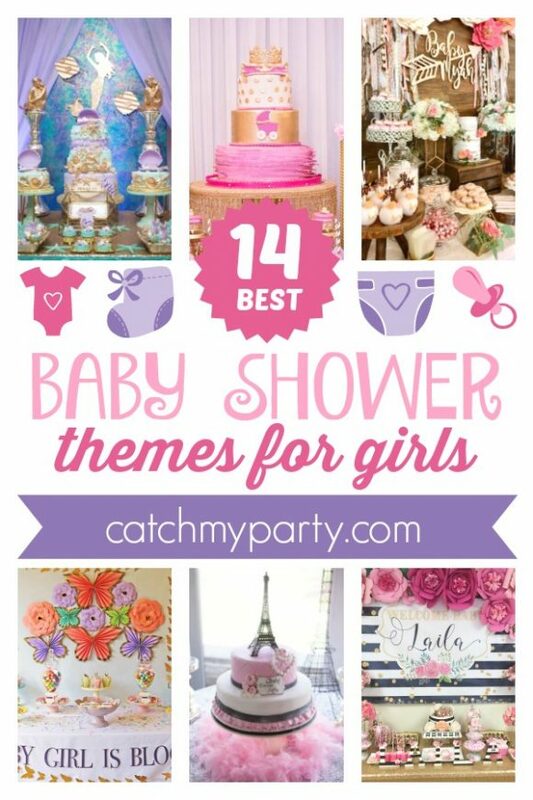 Lots of great parties were added to our site this week, including a woodland baby shower you will love! Check out the toadstool cupcakes with white chocolate chips! Chanel Bridal Shower and More! Wooh, it's hot here. I'm chewing on ice cubes to cool myself down. But again, I can always make myself happier by looking at beautiful parties, so thank you everyone who's added their work and creativity to our site. It puts me in such a better headspace. 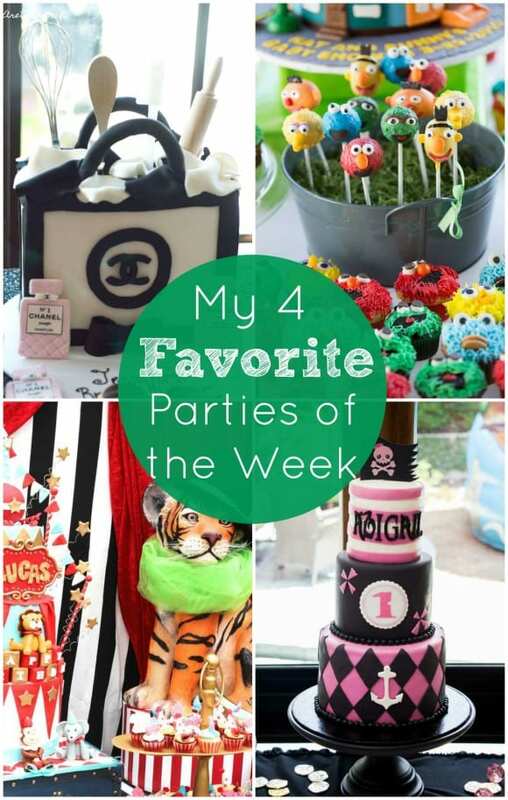 So this week... my favorite parties include a Chanel bridal shower with stunning black and white details and a great cake, an incredibly adorable Sesame Street baby shower, a very cool pink pirate princess party (girl power! ), and an outdoor vintage circus first birthday party. I know you're going to enjoy them. 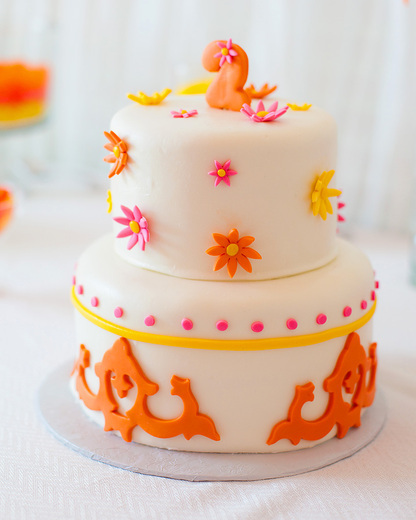 Party Planning Ideas Including Mickey Mouse, Chanel, and More! 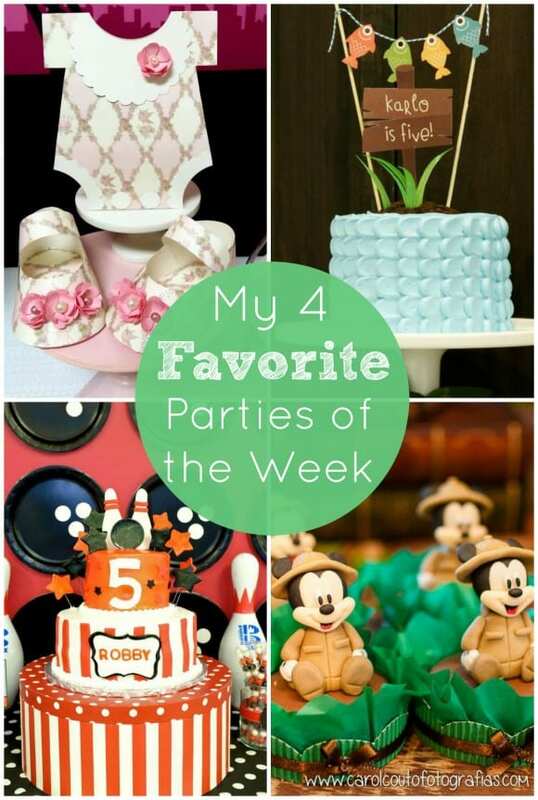 To give you lots of party planning ideas, check out my four favorite parties added to our site this week... including Mickey Mouse, Chanel, and more! I picked a lovely pink and black Chanel Paris baby shower with a beautiful dessert table backdrop. Also, there's an amazingly detailed fishing birthday party for a boy turning five. VBrowse this fabulous Mickey Mouse safari birthday celebration with tons of Mickey fun. And finally, I'm excited to show off an incredibly creative bowling birthday party with a beautiful cake. Turning sixteen is such an important milestone for a teenage girl approaching womanhood and should be celebrated accordingly with a sweet 16 birthday party that she'll remember for the rest of her life. 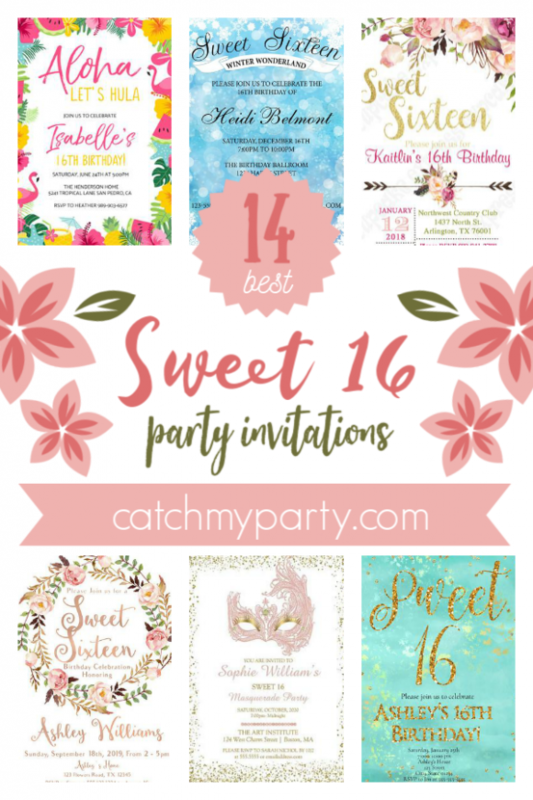 If you're daughter is celebrating her 16th birthday soon, then you don't want to miss the 14 most glamorous Sweet 16 party invitations we've rounded up for you.